This October, help local kids live their dreams by participating in a local Make-A-Wish Illinois event. The Great Pumpkin Festival, the Superhero 5K and the Chicago Marathon are three unique events benefiting local children with critical illnesses. Whether you are interested in a relaxing or active atmosphere, one of these events will surely be a good fit for you. On Oct. 7-9, head into downtown Highwood, Ill. for the Highwood Pumpkin Fest. This three-day event comes complete with fun, music, food and, of course, pumpkin carving. This year, the event has two goals: break the Guinness Book of World Records for most pumpkins carved and to help grant 100 wishes for Illinois children. To break the record for most pumpkins carved into jack-o’-lanterns and lit at the same time, the Highwood Pumpkin fest will need your help and the help of at least 30,581 other people. To help grant 100 wishes, they will need to raise over $600,000. 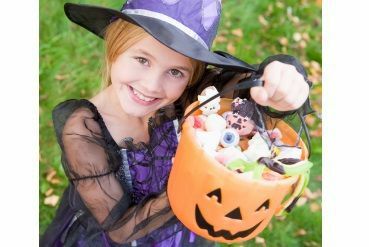 With unlimited pumpkin carving, trick or treating, costume contests, a pumpkin parade, hay rides, pony rides, a petting zoo, kids’ crafts, musical entertainment, carnival rides and delicious food, you and your family ought to spend $3 or $5 for the weekend on this memory-making festival. During the pumpkin festival, the Superhero 5K run is another fun way to raise funds for Make-A-Wish Illinois on Oct. 8. For just $35, you can register to run, helping to reach the Great Pumpkin Festival’s goal of granting 100 wishes. This fun run is heroic in more than just one way. Not only do you and your family get to dress up as your favorite super heroes, but you also get to help make dreams come true for children with critical illnesses. Come out to the Great Pumpkin Festival (333 Waukegan Ave, Highwood, Ill. 60040) to run like a hero! Since 2008, more than 80 runners for Team Make-A-Wish have raised hundreds of thousands of dollars for local children looking to live their dreams. This year, the team has already raised over $65,000. Joining Team Make-A-Wish for the Chicago Marathon is easy! The Chicago Marathon is a 26.2 mile run through the city streets on Oct. 9 at 7:30 a.m. To make the team, you need to raise $1,500 in fundraising to benefit Make-A-Wish. For more information on the steps you need to take to join the team, visit the team page. If this weekend of fun events doesn’t fit your schedule, the easier way to make a big impact on Make-A-Wish Illinois, is to donate your unwanted vehicle to Wheels For Wishes. Wheels For Wishes is a nonprofit 501(c)(3) car donation organization dedicated to making the donation process simple by offering free towing and a great tax deduction. If you would like to help make dreams come true for local children with critical illnesses, donate today! Simply call 1-877-431-9474 or fill out an online donation form.